Prior to any cross-country journey with the family, we often find our minds occupied with the car and the camper. Are they in working order? Or is there some problem that could escalate long after we’ve left all large population centres behind? Then, once we hit the road, we make sure to stay vigilant for unexpected squeaks, rattles and equipment malfunctions. Yet sometimes the biggest obstacle to the trip is psychological: however boundless your enthusiasm, it can take time and effort to sync with the peculiarities of the travelling lifestyle. We’re usually over 800 kilometres from home by the time we’ve achieved this. A key part of getting to this point is reconciling everybody’s expectations about the journey’s priorities. For example, if it was left up to our littlest crew member, the main objective would be to visit every playground, swimming pool and beach within a 200 kilometre radius of our planned travel route. For my part, I need a couple of days of relatively unstructured travel so that I can unwind from a daily nine to five routine into a more relaxed pace. By contrast, my husband has destinations he is itching to reach and objectives to achieve once there. Another major step to finding your rhythm is accepting and embracing the unplanned opportunities that come your way. Indeed, some of the most enjoyable and memorable experiences I’ve had on the road have happened when I least expect them. Unaffected by preconceptions about what I’m supposed to be doing, looking at, or thinking, I generally enjoy unplanned experiences with a more open mind. 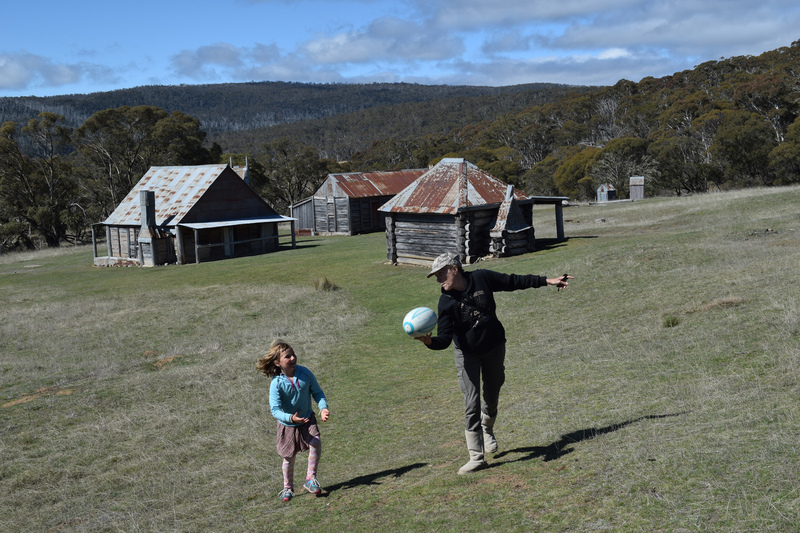 So when an opportunity recently arose – in the final week of an extended road trip – to spend a few days exploring the High Country within a hundred kilometres (as the crow flies) of our postcode, we welcomed it warmly. This area takes in vast tracts of the Kosciuszko National Park that I’ve been visiting periodically since I was a child, generally for a weekend escape to a predetermined location. What set this recent visit apart from its predecessors was the fact we had no specific destination to visit and no specific time frame within which to return home. We could spend one day exploring – or six. The choice was open. Moreover, having already been on the road for over a month, we were approaching the Park with a mindset that was unusually relaxed. And this made a real difference. 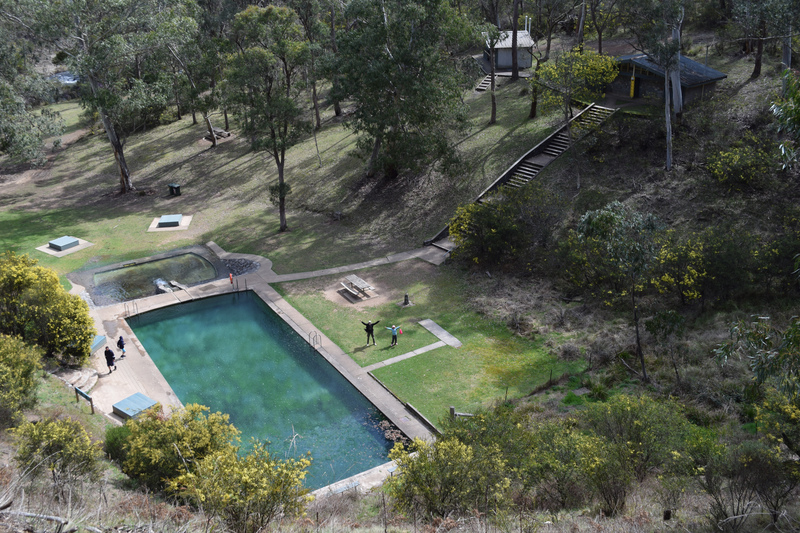 It was excellent to discover that the Park’s well-known Yarrangobilly Caves site is also the location of a natural thermal pool. Our enjoyment was fuelled by the happy fact that the water is naturally heated to 27 degrees and buoyant on account of its minerals. 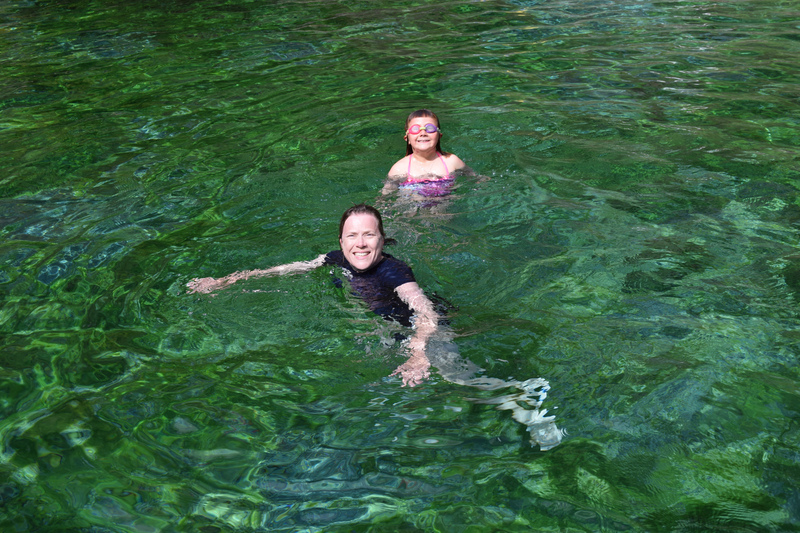 It was also brilliant to be able to surprise our daughter with a swimming pool in the middle of the scrub. What topped off the experience was being able to hang out there for as long as we liked. All we had to do was settle back, relax, and be grateful that this place exists within three hours of our home. Meanwhile the other visitors to the pool were reflecting uncomfortably that they’d be getting on a plane within the next 48 hours to travel back to the other side of the planet. 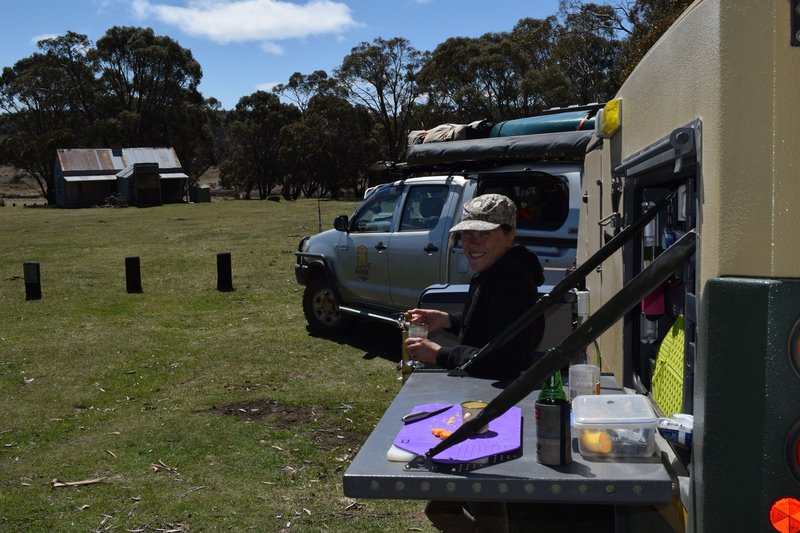 As our time in the High Country unfolded at an unhurried pace, we discovered several other little gems among the High Country Huts, the alpine streams, the backtracks and the park’s many campsites. Virtually every place we went presented something new to enjoy. Of course, these things have always been there. But this time, going at our relaxed pace, I had the opportunity to really see them.